Q: How do families apply for KidSport? A: We require applicants to be registered in a qualified sport program before we will process an application. We ask that the family fills out the application completely, attaching all required documents. If a family chooses to complete the PDF application they can email, fax, or mail in their application and supporting documents. If a family is filling out the online application we ask that they upload the supporting documents and submit the application. Q: How does a family apply for fee assistance? A: There are two options for our application process. There is a PDF version as well as an online application. Both can be found on our website by clicking on the "Apply for Assistance" link at the top. Q: How long does it take for payments to be ready? A: We issue cheques or directly deposit funds on a monthly basis. Cheques are ready on the 30th and direct deposits on the 30th as well. If a child is approved after the 25th of the month their funds will not be ready until the following month. Clubs who have signed up for direct deposit will receive an email one the funds are deposited. Clubs who are picking up cheques will receive an email with pick up dates and times. A: Processing an application typically takes 1-3 weeks. If an application is properly completed in full and we have all of the information we need (sport club verification/signature, including family income verification docs) the process can be quicker. Q: Why do you not mail cheques anymore? A: We stopped mailing out cheques, giving sport clubs the option to set up direct deposit or to come down to our office to pick up cheques starting in January 2018. This was put in place as the administrative time was becoming increasingly high due to returned, lost or misplaced cheques and with distributing cheques to over 450 clubs yearly the postage costs were becoming significant. Q: Why do you want sport clubs to sign applications? A: We ask that sport clubs sign applications, and/or verify via email that a child is registered, as well as the costs and dates of the registered program so we can assure that each child is in fact registered and will be participating in a sport.This helps decrease admin time for both KidSport and the club if a payment is sent for a unregistered child. Q: What is the maximum funding? A: Each calendar year, a child is eligible for up to $375. Our calendar year is January 1 to December 31. A: All funds raised for KidSport Calgary are raised locally and stay right here in our community. We mainly get our funds from major events, partners, individual donors, third party events, corporate donors, foundation/society/charity, grants and sports teams and organizations. Q: What can Sport Clubs do to help? A: You can help KidSport Calgary by educating your families on what we do within the community, you can also promote our events and what we up to on your social media outlets, or you can get involved in our Recycle for Lifeprogram. 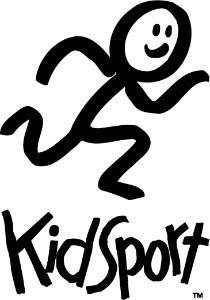 To see what KidSport has coming up please see our events calendar.